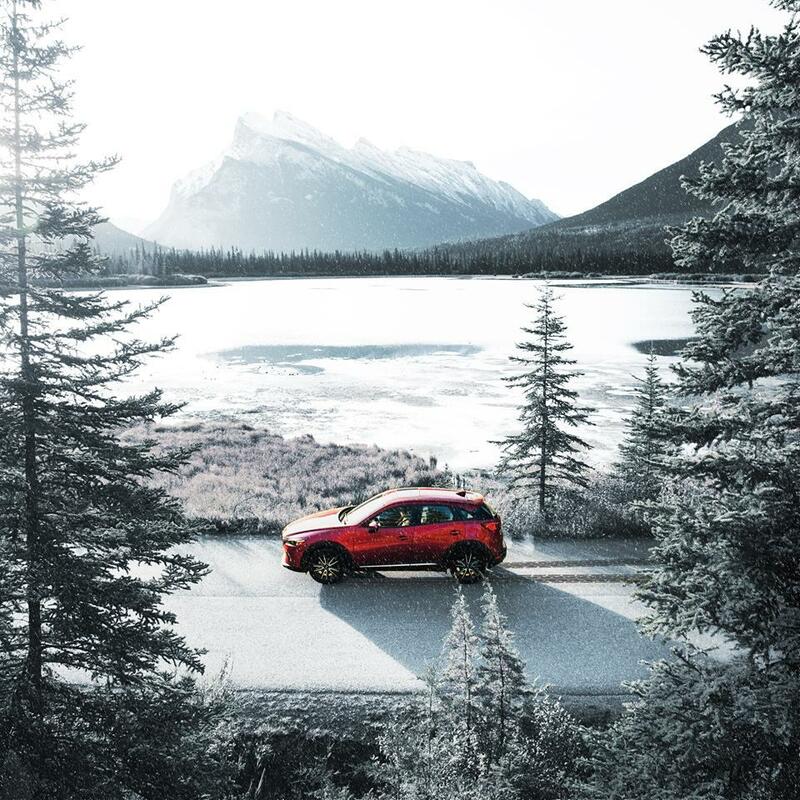 Winter driving in Canada can be pretty challenging, especially if you're not particularly experienced at it. If you got your license when it was relatively warm and the roads were nice and dry for example, you could be in for a shock when the snow and ice arrives. But even many experienced drivers have never had any special training to cope with the different demands winter driving presents and they just muddle, though. So, here are some safety tips for winter driving that everyone, no matter how experienced or otherwise they are, should take a little time to consider. If you're going to be driving in challenging winter conditions, it's not only your vehicle that has to be in the right shape to cope with it, the driver has to be up for it as well. Winter driving requires, even more, concentration than normal, so don’t attempt it if you're excessively tired or feeling unwell. If you know you're going to be embarking on a drive in harsh weather conditions, make sure you get enough rest the night before. One of the most basic, but perhaps most fundamental safety tips for winter driving, is to take everything more slowly than normal. It can be quite enjoyable sometimes to drive on hard packed snow for example, but it can also lead to complacency and the temptation to go faster than you really should. Accelerate and decelerate slowly. Applying the gas slowly is the best way of regaining traction and avoiding skids, so don’t attempt to get moving in a hurry and always allow plenty of time to be able to slow down for a stoplight. Slowing down on snow and ice takes a whole lot longer than it does on a dry pavement. Never ever run a vehicle in an enclosed space, such as a garage. It can be a temptation on a cold day to get the vehicle running to warm things up before setting off on your journey. However, the carbon monoxide that comes out of the tailpipe is extremely toxic and a silent killer when allowed to build up in an enclosed area. Always keep your gas tank at least half full in the winter. You don’t know if you're going to get stuck in snow or in stationary traffic as a result of bad weather. Running the engine to keep warm will use up the gas in your tank, so you don’t want to find yourself unable to keep the heater on as you're running low on gas. Of course, you also don’t want to run out of gas completely without being able to make it to your destination, or at least a gas station. Driving correctly on snow and ice is a special skill that requires professional training, but there are a few things you can do to make things easier. For a start, make sure you can see properly. It's amazing how many people you see peering through a tiny peephole made through the ice and snow on their windscreen. Make sure to remove all snow and ice from a windscreen before setting off, and also make sure you properly de-mist the inside. It doesn't take long for your breath to mist up your windscreen and reduce visibility to zero, so don’t attempt to drive until the screen if totally clear. If you do find yourself skidding on the snow or ice, don't try to fight it. Always try to turn into the skid as that's about as much control as you're going to get. It might not feel like the most natural thing to do, but it's definitely the best way to deal with the situation until you come to a stop and regain control. But the best way to deal with the very worst winter driving conditions is to avoid them altogether. If your journey isn't essential, stay at home until things get better if you possibly can.